You guys at Fanatics fail at so much. 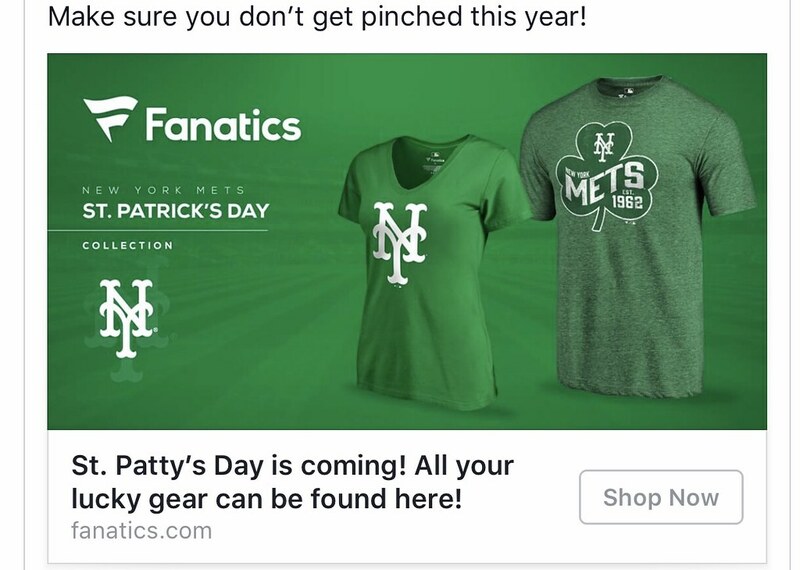 You even fail at getting the FACT that it's St. Paddy's Day and not St. Patty's Day. Well at least on Facebook you guys have it wrong. - Fanatics. I am willing to give you all a shot to have a convo with me. Not just about this topic but about how you run your business in general. Maybe you guys know something I don't. If any of you want to contact me to to discuss find me at mediagoon@gmail.com.